Winter months mostly mark laziness in the most active people. But if you think sensibly then winters are the best time to workout and get a chiseled body. This is because when you exercise during winters you don’t have to worry about getting too sweaty and exhausted. The weather is in your favour and you can take full advantage of it. Even if you cannot perform a full-fledged workout routine you can still perform some of the basic exercises and keep yourself healthy this winters. Here are the top 5 exercises to keep you healthy this winters. 1. Yoga- Not only the elderly but also a lot of middle aged people experience chronic joint pain with arrival of winters. But those who perform yoga on a regular basis are far away from any such pain. 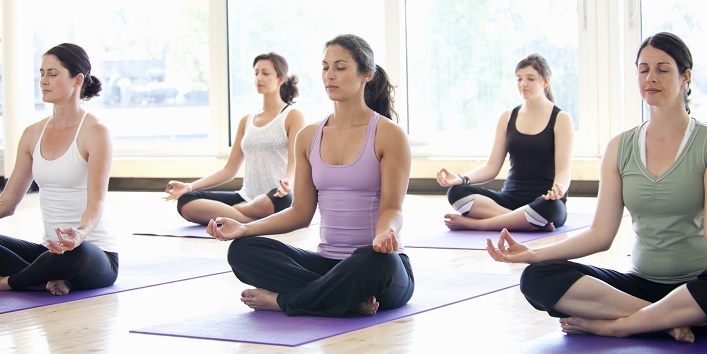 Yoga helps in maintaining the mobility of joints and improves circulation. It also helps easing out stiff joints thus making the movement much more smooth and pain-free. 2. Jump Rope- This one is a complete body workout and takes just a few minutes. So, if you are one of those people who feel way too lazy to get up in the morning and go to the gym, then you can opt skipping rope instead. It is a great cardio exercise and will help you shed that winter weight. It will improve the blood circulation in the body by getting your heart rate pumped up. But if you have joint pain skip this exercise. 3. Squats- Squats is one of the best exercises for your legs and butts. The only thing that you have to keep in mind while doing squats is to maintain a proper posture. Improper posture may lead to injury and you won’t be able to get any benefits out of it. There are several tutorials on YouTube from where you can learn the proper technique and posture for the same. Once you ae comfortable doing regular squats, you can add weights to make it more intense. 4. Plank- If you really want to get your entire body worked up without doing too much, then try planks. When you have never performed planks, then at first it may look like a very easy exercise. But once you start with it, you will get to know how intense this exercise is. Planks basically work on strengthening the core and the back. Since you are supporting your entire body weight on your hands and feet, they too get some strength training. 5. Push ups- Depending on the type of push ups you are performing different muscles get worked up. If you are doing inclined push ups the targeted muscles are the core muscles, triceps and deltoids. If you are performing decline push ups then the targeted areas are shoulder, chest, back and arms and so on. If you are a beginner you must start with inclined push ups and slowly get to the more modified versions of the same.